QILING Disk Master Professional is an all-in-one data protection program for your computer: QILING Disk Master Professional offers a variety of features — including drive/partition/system backup & restore, drive/partition/system copy/move/resize, hard drive health monitoring, virtual disk, secure disk, and RAM disk — that help you with different aspects of data backup, protection, and security. Save RAM disk data to the file. One key to set the temporary directory to the RAM disk. When the system starts, the application automatically load the RAM disk. Password protection – using AES encryption technology. Deduplication – make a image file smaller. Splitting – splits disk image files. Format it – automatically create partitions and format. Support larger than 512-byte sector. Simulate real hard disk over 2TB+. Compression – compressed backup data takes up less storage space. Deduplication – make a backup image smaller. Support real hard disk over 2TB+. Full, incremental, and differential backups. Schedule backups – set up a schedule to back up your system and all files automatically, supporting daily, weekly, and monthly. Backup Strategy – automatically delete the obsolete backup images based on specified value – the age and the number. Return your computer’s system files and programs to an earlier state when everything was working properly. System restore – Quickly recover your entire Windows system backup in minutes to the original or new location using a PE bootable media. Data restore – Quickly recover your entire disk or parstition backup in minutes to the original or new location. Pre-OS recovery environment – If your system won’t boot, simply select DAYU Disk Master from boot menu to launch Pre-OS and then recover your system. Backup system – Create an exact duplication of your system or data partition, and transfer it to another place. Hot Clone – You can clone the current system is running to another location. Mount – You can even mount disk image as a drive in read-only mode and then copy out files/folders from it. Create emergency disk – Create a WinPE-based bootable media in case of emergency, especially for system restore. Hard disk health – Checks the hard disk health status by using SMART and Temperature display and view hard disk detailed information. Disk move/resize – Modify the location and capacity of the target partition. + rather fast an compact disk and partition backup! + package all in all not too blown up : it is relatively small for such a bunch of tools! While the offered package since long (and always again!) looked and looks very promising, I ALWAYS found bugs or problems in ALL previous and current versions. Due to my explications I could not decide wether to give 3 or 4 stars for the software. Finally I decide for 3 stars. I must second Darrell Beard’s post. After installation a message popped-up over the installer’s finish screen stating something like ‘could not complete installation, restart your PC and then run this install again to complete’. I restarted and the bootup screen gave ‘attempting to repair’ message, then a ‘diagnosing problem’ message, then blue screen reading ‘couldn’t repair your PC’ with the choice of “turn off PC” or “restart” or “advanced options”. First I chose “restart” and the exact same thing happened so I then chose the latter, went into “troubleshoot” and between “reset PC” and “system restore”, again I chose the latter. Fortunately, I had created a restore point earlier! There are numerous similar occurrences mentioned on the discussion page. While I appreciate all offerings on this site, my one star is based on Qiling not addressing any of these issues. I believe that if a vendor is making an offering here, they should have a representative checking in on the board periodically to see that things are going smoothly. The fact that the Q is followed by and I (vs U) should be a tip. “Cleverness” is often a sign of needing to cover up something more sinister. Tried to System Clone , but getting I/O error. Scared to use further after reading the previous review! this software should be removed from this site and from any other website! installation has ruined my windows!!! got a message when installed the software, said I need to manually reboot my pc. after that it got into repair mode and nothing helped! needed to install windows from scratch! BEWARE BEWARE! I’d give it 0 if I could. Installation crashed a perfectly good Windows installation. Now having to reformat and reinstal windows and all files. Upon trying to install the program gave an error and when I rebooted, it went into repair mode. Wasn’t able to repair, could not system restore either. Only option was to reinstall Windows. WARNING: THIS WILL SCREW UP YOUR SYSTEM! STAY AWAY FROM THIS. Thank you for the truthful review after the paid-for glowing praises in the previous 2 reviews. 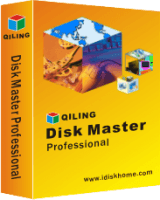 QILING Disk Master Professional is a reliable software utility designed to help you manage and backup your disks and partitions. It allows you to easily backup files and folders, clone and resize partitions, create Ram and virtual disks, and much more. The download size is small (~16MB) and the installation process is quick and straightforward. The GUI of this tool is arranged neatly and all the features are categorized in to four tabs to make them easy to access. These four tabs are ‘Virtual Disk’, ‘Backup and Recovery’, ‘Disk Management’, and ‘Tools and utilities’. You can explore all these four tabs for different features, and all the tasks are done in guided steps that makes this tool suitable for use by even novices. The UI looks clean and all of the features and tools are categorized into four tabs on the top, namely ‘Virtual disk’, ‘Backup and Recovery’, ‘Disk management’ and ‘Tools and utilities’. All the tools and features are presented right away to the users making this tool easy-to-use for all types of users. This tool has a wide-range of tools and features that can be easily used. All these tools help you manage and also backup your drives and partitions. This application can help move, resize, create, format, delete and recover partitions, migrate your content from an SSD to a HDD and vice-versa. With it’s backup options, you can backup your images, music, emails, apps, videos. The backup can be protected with a password and you can set the tool to automatically backup daily, weekly, or monthly. Moreover, the utility makes it possible for you to create RAM and virtual disks and even emergency disks. These disks are encrypted and password protected using 256 bit AES encryption technology. The tool allows you to backup entire hard drives, separate partitions, or entire operating system. The backups can be kept safe and secure using AES encryption and password protection. Along with scheduled backups, this tool lets you compress the backups so that backup data takes up less storage space. This software application contains many useful recovery options too that allow users to do system and data restore in case something goes wrong with the system or the data is lost. Moreover, system migration options let’s you migrate your OS from HDD to SSD without the need of having to install the windows again. Disk can be cloned to make exact copy of system or data on another disk drive. This feature is helpful especially when you upgrade your HDD or SSD and replace the old ones. This tool also check your hard-disk’s health, perform surface tests, and display detailed information about your drives using SMART and Temperature display. With a large collection of features, QILING Disk Master Professional is an effective and reliable disk management and backup utility which can help you in many ways and situations. With it’s tabular arrangement of the GUI, all the features are arranged just right to be easily accessible by all types of users. I think it’s a tool that everyone should keep in their toolkit just in case they ever have disk management issues. I have used this app for 6 months. I set the virtual ram at 2GB (named it “Y” disk) and it uses about 60Mb each time I boot up. The backup is good and it is my backup to Easeus Total Backup, if I ever need it. The interfaces on both apps is very similar looking. Be it data backup, recovery or protection, QILING Disk Master Professional will have your hands full. This means the tool has a load of options and features that come in handy when you want to modify your drive or partition structure and size. Given the tool’s wide array of options, the only comprehensive way that I could find out if could be my go-to application is by testing it. Here is my take. Having had catastrophic experiences in the past regarding partition resizing and losing my important data, I am always careful when laying my hands on a data or disk partitioning tool. After installing and running QILING Disk Master Professional for the first time, I found its general interface quite impressive. Its tabular approach in categorizing options eliminates any kind of clutter while making the options straightforward to use. Straight up after running QILING Disk Master Professional, you will find the tool’s main window very intuitive with easy-to-use features that require only few clicks. Regardless of whether you on the Virtual disk, Backup and Recovery, Disk management, or Tools and utilities, the learning curve is very small. In no time you would have the hit the ground running. Although the features that come with this tool are equally important, I found myself spending most of the time in the Tools and utilities tab. This tab has features ranging from creating a bootable media and disk cloning, to data wiping and checking your disk’s health. In a way, the load of options gives you the flexibility you require in managing your disk and data. It is a foregone conclusion that installing a new operating system can be a daunting task. Thankfully, QILING Disk Master Professional has you covered in helping you avoid fresh installations when you shift to a new system. Currently, I use a HDD but planning to move to an SSD. As such, the fast disk cloning will definitely come in handy in such a situation. In case your drives start filling up, the need for resizing will arise. In such situations, the last thing you want to experience is the wrong resizing. The good thing about using this tool is that it implements an intuitive approach to resizing your drives without making any mistakes. You can use handlers and easily move to the direction of your liking on dragging. QILING Disk Master Professional runs smoothly while performing the different tasks you assign to it. However, while checking the memory usage on my system, it was among the top users, which could be a little bit above average. If you are looking for an intuitive and easy to use disk/partition and data managing tool for your system, then QILING Disk Master Professional will rank highly. Its wide range of options that could further help you ensure the privacy of your drives and data will definitely draw you in. It is worth downloading. QILING Disk Master is an all-in-one utility that focuses on file or folder protection and performance boosts. The approach is simple, yet powerful; Create multiple virtual HDDs, encrypt them and save data in them. It also does the same to RAM giving your PC dedicated RAM units without necessarily installing physical modules. That aside, I personally found QILING quite impressive and user friendly. The modern yet easy to use interface coupled with the simple but powerful virtualization approach makes it the ultimate abstraction tool that will protect your data from the common exploitations and file system vulnerabilities. QILING’s UI doesn’t waste your time with unnecessary gimmicks or options. The designers managed to focus on what the application does, nothing more. I found it rather impressive that I could control primary features from the system tray without having to launch the entire UI. It’s HDD information unit is also intriguing. An intuitive table takes you miles from the dull Disk Manager worlds and spices things up with colors and odd parameter like HDD temperature. This new approach to security proves rather impressive. Create virtual drives and mount them on demand. Also, add a password that requires authentication when mounting them. This will first mean that no one will see the protected partitions without using a disk manager, and if they see them, they’ll still need a password to gain access. QLING bundles tons of tools that will come in handy when doing any disk management tasks. You can do everything, from OS migration to creating Windows PE bootable disks, partition alignment and backup to NAS of flash storage. It’s versatility makes it one of the most comprehensive disk management tools in the market. Think of the many things you could do with the QLING tools, and you will realize how fun this application can get. For instance, instead of downloading suspicious software straight into your hard disk, you could create a dedicated virtual HDD and use it to test all the software. You can always wipe the virtual partition whenever things get out of hand. QLING will schedule all your backups. You can have them weekly, daily, monthly or whenever an event happens. Moreover, the GPT/UEFI support makes it quite compatible with the current day boot tables. This is the only quarrel I got with QUILING. How come I couldn’t find a GPT/MBR converter? I come across such tasks many a times in my tech support work. I’d sure love having this bundled in there rather than forcing me to use another app for the job. QILING Disk Manager is an amazing tool that will help you optimize your system and storage usage at a click of a button. The impressive user interface and the almost intimidating tools galore make it the perfect tool, both to the armature and to the professional. I am neither an ‘armature’ (sic) nor a professional – would this still be useful to me?